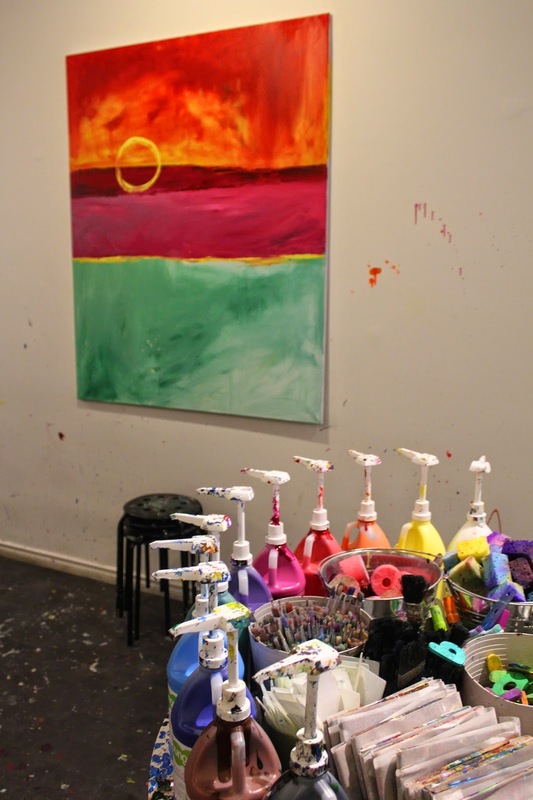 A few weeks ago I attended a blogger Paintlounge party. 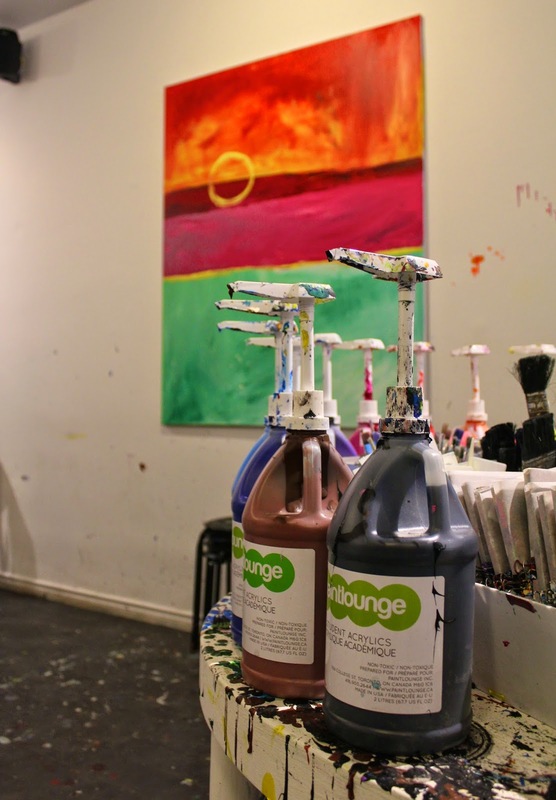 Paintlounge is social painting and is such an amazing idea for parties. You could go on dates, have birthday parties or even low key bachelor/bachelorette parties. When you arrive you get a blank canvas and a tutorial on how to do certain techniques with painting. They hand around a book to give you ideas and off you go. If you have a bunch of people you are close with or even a date, if would be a hilarious experience. 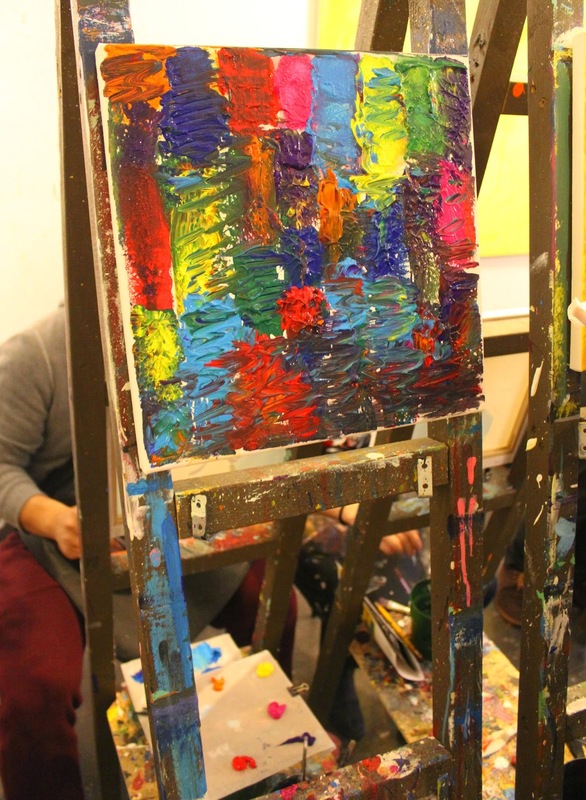 I kept making fun of myself the entire time, because I truly have no idea what I painted (as you can see above). They have a cute little cafe where you can enjoy a drink while you paint. It was such a different, unique idea. 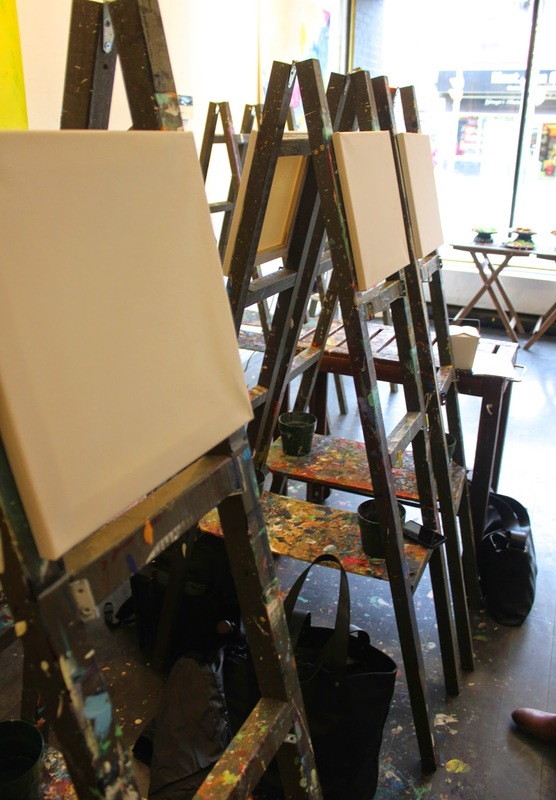 If you are bored of the same old same old, you most definitely need to check out Paintlounge.